Europe is fantastic for skiing, with plenty of opportunities for both beginners and experts to fill their days with skiing and exploring. Plus, the picturesque villages and friendly atmospheres of the resorts and surrounding areas all add to the holiday experience. Taking the family skiing is such a fantastic way to spend your holiday, whether that’s in a ski hotel or luxury ski chalet. The children can learn a new skill while having an excuse to play all day. The evening can then be spent reflecting on what they’ve learnt and being entertained by the resort’s facilities. If you have teenage children, the same applies but they can also venture off to make new friends, safe in the knowledge they’re in a friendly environment. 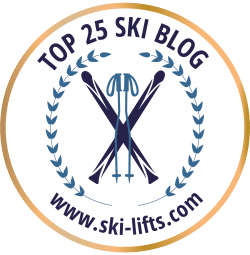 Below are our top ten child friendly ski resorts in Europe. Take your choice of what you’d like to see, what fits your budget and where will provide you with a seamless holiday. 11 BONUS 11th – Georgia! Val d’Isère is well-known for its atmosphere as much as its skiing opportunities. There is always something going on – whether that’s bars for the older members of your family or restaurants for the group to sit down together and chat about their day. Plus the slopes are perfect for both beginners and experts, so not matter where your family members are at in their skiing journey, there will be something for them. Read more about this all-rounder destination in the guide to Val d’Isère. Alpe d’Huez is another French resort that makes the list. It has many easy runs, so great for the children, plus other areas for the more confident skier. Families can stay in the many self-catering apartments in the area to take advantage of this top skiing destination. Moving over to Italy, Cervinia is a small resort that offers easy slopes, a beautiful nearby village, and lots of sun! As well as the slopes, the resort has a kindergarten for young children who need to take a break from the action. In Austria, Alpbach is great for families with children of all ages. The nearby villages are extremely pretty – perfect for those who want to do a bit of exploring. There is also an indoor swimming pool and outdoor ice rink to add to the holiday activities. For the keen skiers, the slopes are great for complete beginners and those who want to try off-piste. Also in Austria is Obergurgl. Here, childcare is an option at many of the chalets and the ski schools are very child-friendly with English speaking teachers. The family hotel run village has the traditional charm but sits at 1900m high in the Otztal valley meaning all beginner runs are snow-sure. Back to France, Avoriaz is a great option for those who are looking to have a hassle-free holiday. The resort is car-free, making it safe for the children to wander around but also adds to the excitement, since the only vehicles are horse-drawn sleighs. The resort has a ‘Village des Enfants’ with Disney characters and easy slopes for small children. There’s also a ski school for the slightly older. La Plagne is another great option for families with children of different ages. The whole area is taken up by ten villages with many chalets and family-friendly attitudes, such as car-free zones. There are ski schools and varied difficulties across the slopes. Over to Switzerland and another car-free area is Saas Fee. It is a rural location and provides picture-perfect scenery. Those with teenagers and more confident children should put this resort top of their list, as it has two terrain parks with half-pipes and entry-level jumps. Laax is another resort in Switzerland that makes the list. The excellent ski school has English speaking instructors and five terrain parks. The resort holds international freestyle competitions, which are fascinating to watch. There is modern and convenient accommodation available while still keeping the traditional Switzerland charm. Finally, Ylläs in Finland is a great alternative to an Alpine holiday. It tends to be quieter than European destinations but make sure you visit after March, otherwise the sun doesn’t rise during normal daylight hours. The slopes are varied and the activities on offer range from husky-sledding to reindeer sleigh rides. The Caucasus Mountains are considered by some to be the easternmost border of Europe, however the country of Georgia is technically located in Asia. Georgia has excellent ski resorts such as Bakuriani which has great kids runs.